Virgo is an Earth sign so it’s practical, but it’s also related to Mercury which means it has an active mind. 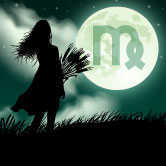 If you were born with the Moon in Virgo, you are known for your intellect, curious mind, and intuition. Virgo likes to cut through the noise and get to the good stuff -- constantly sorting out thoughts, feelings, and everything around them. Leave it to Virgo to figure out what’s useful or useless, what’s true or not true, what’s right or wrong. It’s not surprising that this sign’s motto is "I analyze." Before we talk specifically about the Moon in Virgo, let’s talk about the Moon for a moment. In astrology, the Moon in considered a planet -- it’s the fastest moving of them all. Because it moves so quickly, the Moon passes through each of the 12 zodiac signs every month. Just as the Sun has a placement in our chart, so does the Moon. 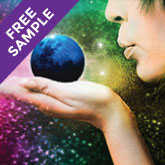 You can use our FREE Cosmic Profile to reveal what YOUR lunar sign is. This will help you learn more about specific moon sign traits, compatibility between moon signs, and more. 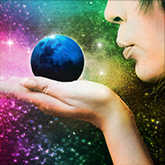 No matter which Sun sign you were born under, for a few days each month, we all feel like a Virgo. Because Virgo loves order and cleanliness, you’ll feel a stronger urge to organize your living spaces during the Virgo Moon transit. This is also an excellent time to work on any projects as this diligent sign has an uncanny ability to analyze the critical details most of us would miss! Virgos loves to lend a helping hand, so don’t be surprised if you are the first person to volunteer when a friend asks for a favor. Don’t be mistaken -- you won’t feel obligated in the least bit. Because Virgos love to pitch in, you’ll not only want to come to someone’s aid, but you’ll also get extreme satisfaction from it. What can we say? This sign truly enjoys being of service to others. When the Moon is in Virgo, you may feel more motivated to take your health more seriously. You might find yourself re-evaluating your diet and nutrition, or possibly taking up a new fitness regimen. Don’t be afraid to get out and flex those muscles! In the late summer, when the Sun is in the sign of Virgo, we have what is called a Virgo New Moon. This is always a time of new beginnings, and a time of a new emotional cycle. This New Moon is different in that we don’t plant new seeds; instead, we try to figure out what to do with what we’ve harvested. You’ll find yourself asking, "Where do I go from here?" The key is figuring out how to use what you’ve been working on to create a different kind of new beginning. Now that you’ve plucked that wheat the Virgo is known for holding, how are you going to use it? 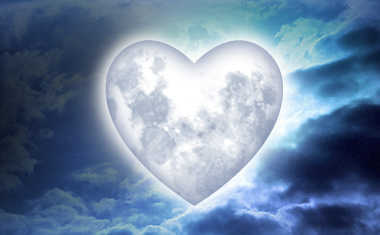 Six months later, at the end of winter, we have what is known as a Virgo Full Moon. Because the Sun is in the sign of Pisces, this is a time when you’ll get lost in your thoughts, and find yourself dreaming about the future. 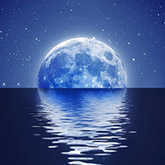 The energy of this Full Moon helps us balance this out by bringing us back to reality, and showing us how we can make these fantasies a reality. Anyone who knows a Virgo knows that they need to feel useful, and somehow contributing to a project, a relationship, or whatever it is that needs their assistance. This is why someone with a Virgo Moon is seen as a hardworking team member in the workplace, or a loyal friend who rushes to their friends’ sides in difficult times. Virgo has been accused of being critical, but they don’t do it because they dislike something -- Virgo is just trying to help! Those born with the Moon in Virgo are some of the most loyal people you’ll meet. Yes, Virgo has high standards and loves to examine every aspect of a relationship before jumping. This doesn’t mean Virgo is cold -- they can be just as passionate and loving as other signs -- it’s simply that they want to know what they’re getting into. 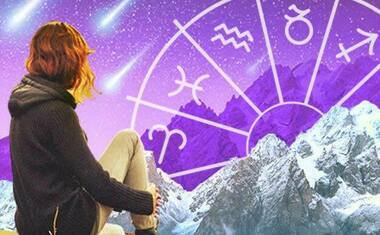 Rest assured, once a Virgo is on your side, they are in it for the long haul.